3M™ Aluminum Foil Reinfoced Tape | Fabrico, A Division of EIS, Inc.
3M™ Aluminum Foil/Reinforced Tape 1430 Silver, 1.0 mil (0.03 mm) aluminum foil backing combined with a 4.0 mil (0.10mm) non-woven web and pressure sensitive acrylic adhesive. 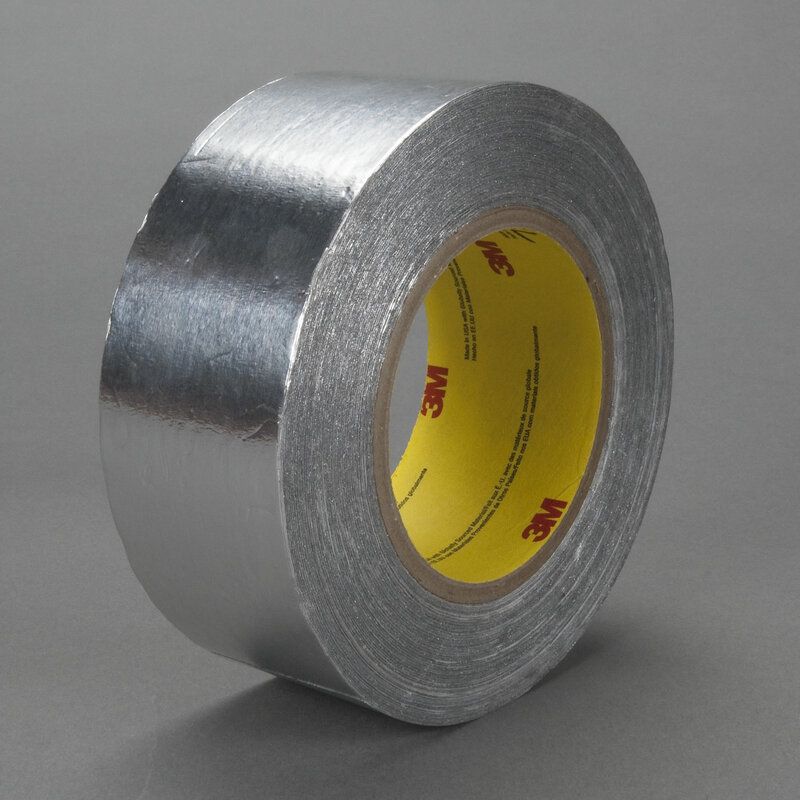 3M™ Aluminum Foil/Reinforced Tape 1430, dead soft aluminum foil tape combined with a non-woven web designed to provide better conformability that does not puncture or tear as easily as many thin foil tapes. The high adhesion level of 1430 tape provides an excellent moisture seal while protecting complex shapes or contoured surfaces, good for flexible wrapping.